I’ve done the 1968 Tasman Series to death with a series of articles uploaded before including one on this particular weekend but this batch of ‘up close and personal’ photos by enthusiast Bryan Henderson are too good to ignore. One of the reasons enthusiasts get misty eyed about that series is that both Clark and Hill had been regular, enormously popular visitors to Australasia from the dawn of the sixties pre-Tasman era, 1968 was the last we had the pair of them down south together. 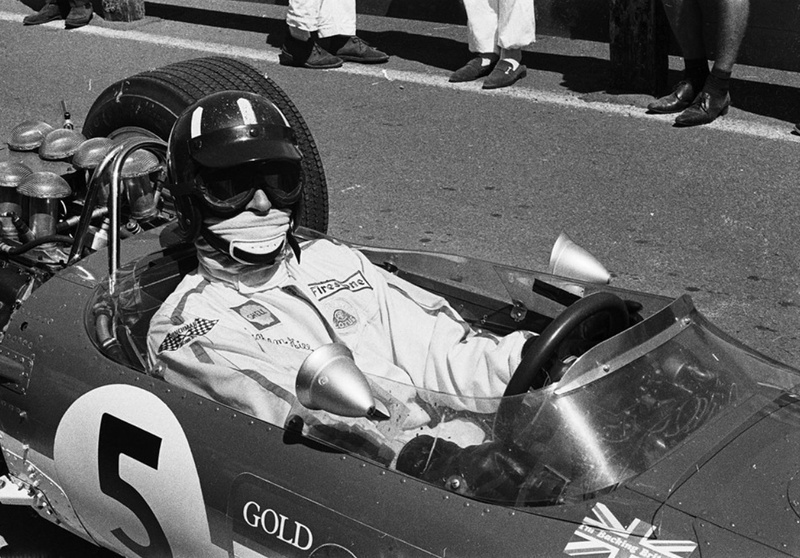 Clark won the Tasman with the still very new Lotus 49 in dominant fashion and then returned to Europe after winning the series and the F1 season opening South African GP to his untimely death aboard a Lotus 48 Ford FVA during a Euro F2 round at Hockenheim. In the words of The Seekers popular song of the day ‘The Carnival Is Over’. We all have our favourite seasons of course but arguably that summer of ’68 was the Tasman peak. 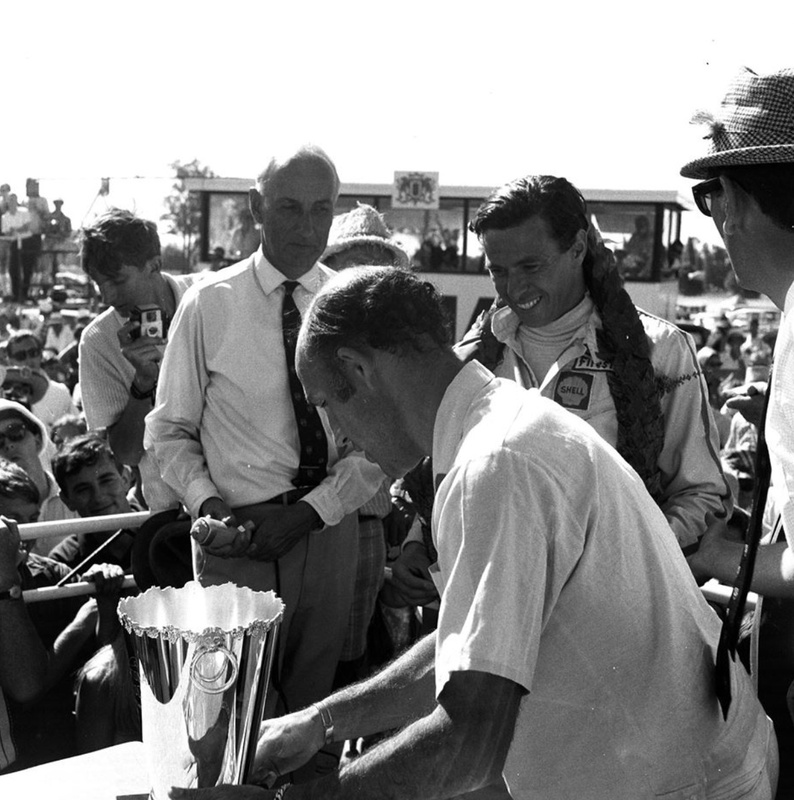 Stilrling Moss, long retired but looking disgustingly fit addresses the crowd in advance of presenting Jim Clark his trophy- he won from Graham and Piers Courage in an F2 McLaren M4A Ford FVA. The gent in the shirt and dark tie is the much respected Geoff Sykes, the AARC/Warwick Farm General Manager/Promoter. These Ford V-8s were 2.5 liter Cosworth DFWs, with a short-stroke crank and longer connecting rods. Doesn’t seem to have caused any problems. 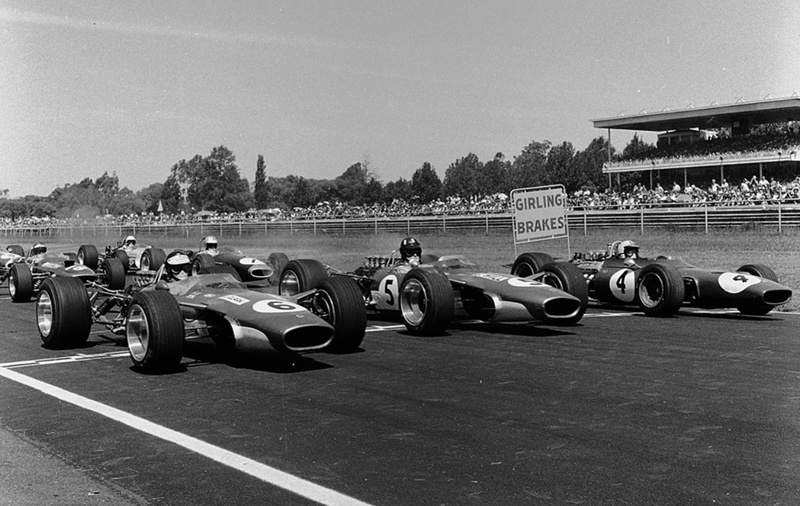 The Carnival was over because of Jim’s death, yes, but the ’68 season was also the first with unlimited sponsorship on the cars, and the introduction of the cursed wings. I think (dangerous) only two DFW’s were built, they worked hard tho, as late as 1970 two DFW engined cars raced in the Tasman- Amon’s STP March 701 and Derek Bell’s Tom Wheatcroft Brabham BT26A. 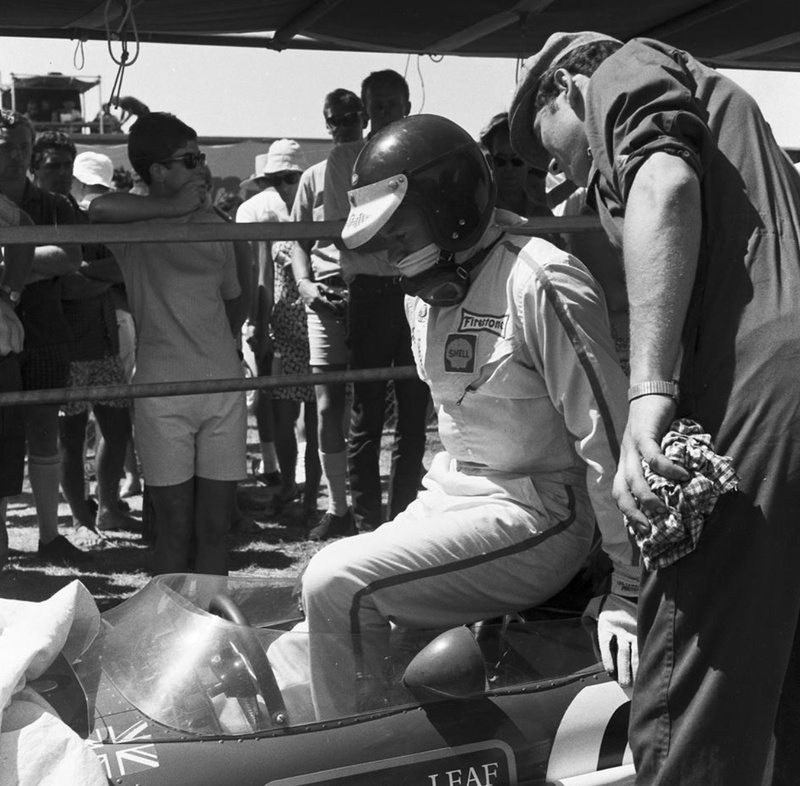 In fact in that final year of the Tasman 2.5 formula, Graeme Lawrence won in the ex-Amon Dino 246T beating the F5000’s. Marvellous cars all. Didn’t think much about it back in the day, but looking at it now, does seem amazing that Cosworth would build engines just for the Tasman. Maybe Chapman had a lot of clout? In 1969 Williams ran the BT24 DFW for Piers Courage, so with the two works Lotus 49’s that would make at least three, plus any spares either bits or a complete engine. The livery on the Lotus of Graham without helmet suggests its from 1969, a thoroughly wet race day, which let Rindt show off his talent. Love the Dino, what a gorgeous little race car. I didn’t look that closely, that helmet off shot is ’69- GH is wearing a belt too I notice, which was not the case the year before. 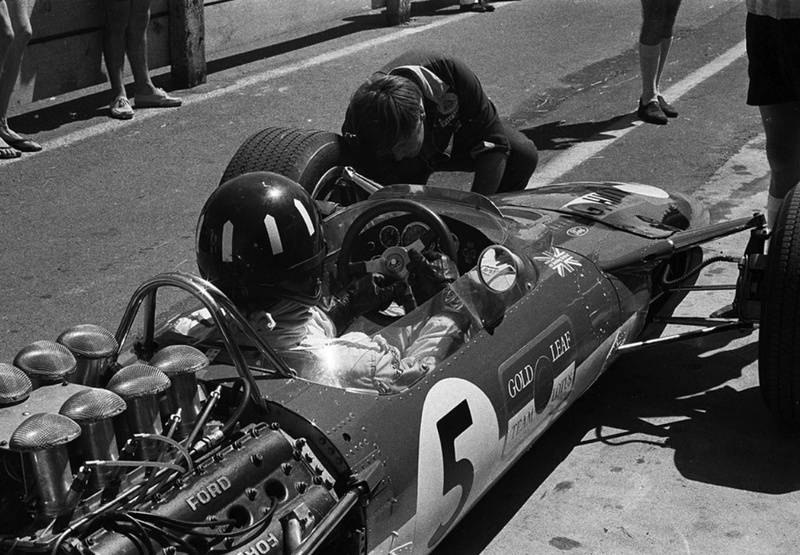 As to building the engines the Tasman then was an important series with Ford Oz providing some commercial support to Team Lotus, not to say Chapman himself was an important client (understatement! )I’m not home close to my reference sources at the moment- it would be interesting to know the DFW engine count, I did read somewhere that all of these engines became DFV’s. No doubt if someone was wealthy enough it would be possible to build up a Tasman 2.5 DFW. Off the top of my head they went into Lotus 49, Brabham BT24 and BT26 and March 701 chassis. A wonderful season – I’m so glad I was there. A high water mark of Australian racing for sure. In some ways it’s amazing it lasted as long as it did- maybe the count starts from Jack’s regular return trips home and providing some other internationals to race with and against. Whatever the case 1956 with the Maserati team visit to Melbourne is about the starting point for me. 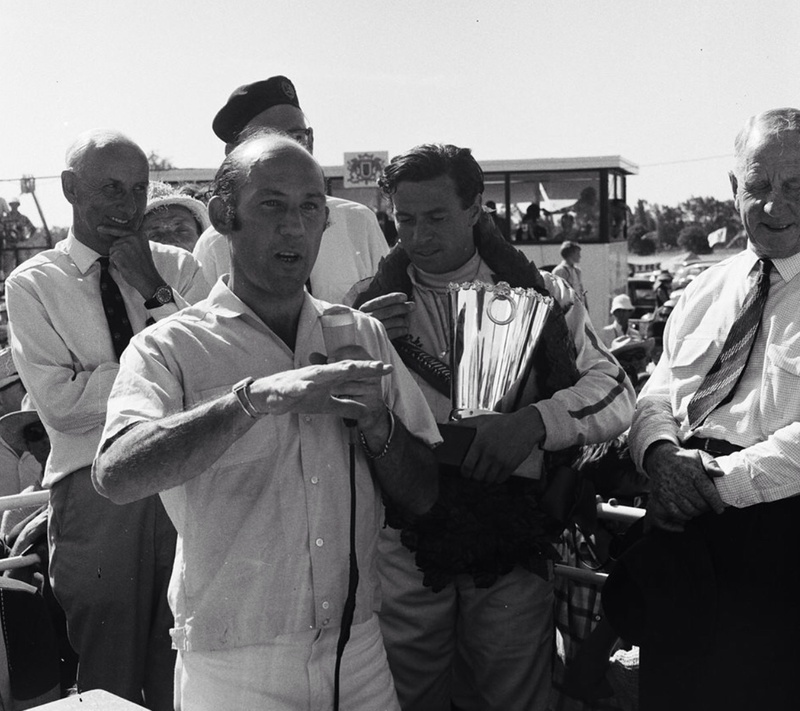 It could be argued that the whole international thing started with the first FIA sanctioned international race meeting to be staged in Australia, the South Pacific Championship at Gnoo-Blas in January 1955. Peter Whitehead and Tony Gaze brought Ferraris down for the event and Bira arrived with a Maserati and an OSCA. 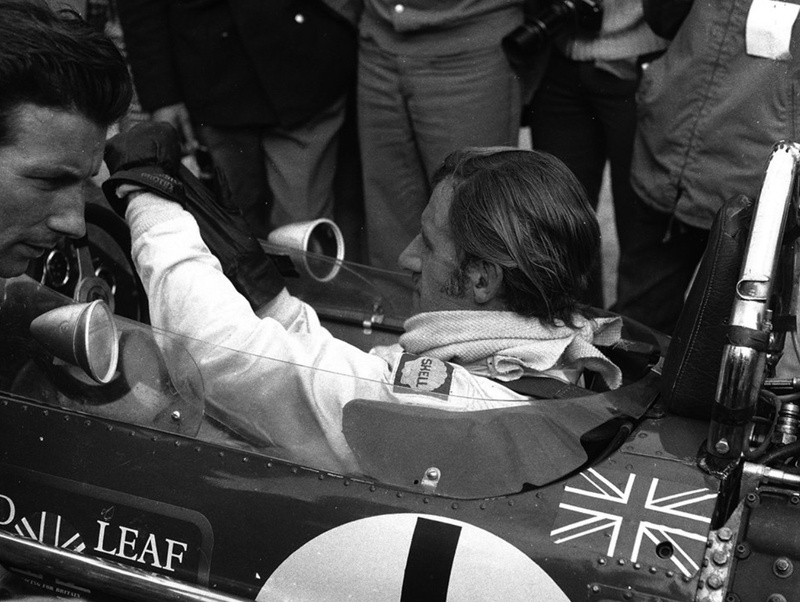 Brabham was also there but was not really an International at that stage. Just to be perverse how bout Peter Whitehead with R10B in 1938?! Not that anyone followed him for a couple of decades! It was a plucky move by the Gnoo Blas guys at the time wasn’t it- it must have cost a few bucks to bring the guys out here with the economics tricky given they were reliant on gate receipts and a very large site to police- lots of easy fences to jump no doubt.